Wouldn’t it be great if you could go into your next UX design interview knowing exactly what questions you were going to be asked? And, even better, knowing just how to answer them? In reality, it’s impossible to know what awaits you inside the interview room. Some interviews are more like a casual chat, while others can feel like an intense grilling. Different interviewers use different techniques, but ultimately, they all have the same end goal: to find out if you’re the right person for the job. In a UX design interview, they’ll be especially curious to know how you work, how you think, and how you’ll bring the value of design to their particular company. With design-driven businesses significantly outperforming their competitors, design is a crucial investment. The interviewer therefore needs to be sure that you can maximize this value throughout their organization — and this means sussing out how you go about the UX design process. What might seem like simple questions on the surface can — and should — reveal a lot about you as a UX designer. To help you prepare for your next UX design interview, we’ve put together our top 11 UX interview questions, along with tips on how to answer them. Check out the video below to see a real UX designer answering the questions, and look out for special tips from our resident careers expert, Mike, too! What they really want to know: How did you get into the field of UX? How did your journey through UX lead you here? A true interview classic, this question commonly pops up at the start of the interview. It sounds like a conversational icebreaker, but there’s a little more to it than that. What they’re really asking is: Why UX design? What led you here, and how does your journey make you a good fit for this job? To answer this question, think about your “UX story”. How did you discover your passion for UX, and what have you done with it since? What experiences have you had so far, either professional or personal, that set you apart? This is your moment to introduce yourself and share a bit of background. Bear in mind that, while it’s a fairly broad question, the interviewer is most interested in your journey to becoming a UX designer. Try to keep your story as relevant as possible, linking back to the role you’re applying for whenever it makes sense to do so. 2. What is the value of UX Design? What they really want to know: Do you truly understand the field? Why is UX design so crucial? If you’ve been invited to interview for a UX position, the interviewer is probably fairly confident that you know what UX design is — the textbook definition at least. So why even bother asking this basic question? This is actually a very important question, so don’t be fooled into thinking that a simple textbook definition will suffice! The underlying question here is whether or not you truly understand what UX design is — and what it most definitely isn’t. UX design is not just about making things look pretty, and sketches and wireframes aren’t even the half of it. It’s all about the user, so make this distinction clear in your answer. Highlight the importance of empathy and user-centricity. Why is a user-first approach so crucial, and how does it translate into good business? Talk about user research, customer journeys and usability testing. Show that you understand why UX design matters: to users, to the company, and to the population at large! This is also a good opportunity to show a case study from your portfolio, demonstrating your understanding of UX in action. A good way to prepare for this question is to imagine explaining UX design to people with varying degrees of knowledge on the subject. How would you explain UX design to an 8 year-old child? Or to a university graduate? How about to a fellow UX design expert? This is a great practice technique in the lead-up to your interview as it pushes you to talk about UX in a way that’s understandable for everyone. Talk about the value UX adds to THEIR business. By framing your discussion of UX in terms of the employer’s needs and priorities, you’re not only showing your ability to explain the importance of UX, but also how it relates to making their product a success. 3. What is the difference between UX and other design disciplines? What they really want to know: Do you have your priorities right as a UX designer? You may also be asked about the differences between UX design and other design fields, such as service design and graphic design. Another topic that often comes up is the difference between UX and UI. 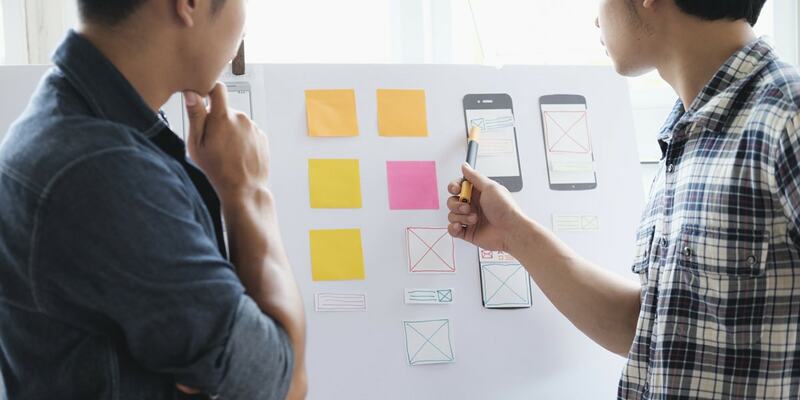 If you’re being hired to focus solely on UX, your potential employer needs to see that you can clearly distinguish between the two — and, most importantly, that you’re more focused on the user and making things usable than you are on making them beautiful. Ideally, the final product will be both, but the aesthetics are down to the UI designer. Here you can also talk about how UX and UI designers work together, and show off your knowledge about what a UI designer actually does. Give an example of a project where you focused on usability, and worked with a colleague who handled the visual design. If you’ve got experience in both, talk about the priorities you set to focus on usability as a first order goal, and then how you align the visuals with that in mind. What they really want to know: How do you solve problems? Are you user-focused at all times? UX design is an extremely varied, hands-on profession with problem-solving right at its core. The interviewer will be very interested in your approach to solving problems and how you use design thinking to drive your processes. They may therefore ask you to talk through your typical UX workflow. There’s no right or wrong answer here; not all UX designers have the same methods and strategies, and that’s absolutely fine. The interviewer just wants to see that you have a well thought-out approach to your work. What’s your go-to plan of action when faced with a new user problem? Make sure you cover all key steps in the process, from user research, personas and user flows to prototypes, wireframes, testing and analysis. When talking through your process, show how you make sure that you’re designing for the user at all times. It’s also important to point out that different contexts require different approaches, and that you’re able to recognize and adapt to this. Use an example to frame your process. Talk them through your steps in handling a (successful!) project. Ideally, one which also relates to the kinds of challenges you’ll be focusing on in this role. Then wrap up by tying this process to those challenges. 5. Do you consider yourself a team player? What they really want to know: Will you work well with developers, UI designers and product owners? Are you open to feedback and ideas? No one is an island: UX design must be a group effort, and employers want to be sure that you can collaborate. With this seemingly generic question, they are assessing how well you work with others — from product managers and UI designers to developers and CEOs. Throughout the entire design process, you’ll work with different people who are approaching the project from different angles, so it’s important to appreciate and empathize with a range of perspectives. As far as the company is concerned, your job is to spread the value of good design throughout the organization. You can’t do this if you’re a reluctant team player. Your answer should emphasize communication, efficiency and an openness to feedback and ideas. Weave in a few real-life examples; perhaps you took the initiative to set up monthly meetings with the CEO at your last company in order to understand their vision, or maybe you’ve been learning a bit of code on the side to better collaborate with developers. Talk about a time when collaboration was key to making the project a success. Outline the challenge, the steps your team took, your particular role in all of this and how things ended up. Relate this process to a typical challenge for doing good design, and relate this process to succeeding at delivering a well-designed product. What they really want to know: What are your strengths? What are your weaknesses and how do you learn from them? This is essentially a more UX-specific way of asking about your strengths and weaknesses. If the interviewer wants to hear about your most successful UX project, they’re really looking to gauge where your strengths lie. Talk about why the project was so successful in your opinion, and the contribution you made to the final outcome. What particular strengths of yours did this project draw upon or bring out? You can also talk about measurable results here, such as an increase in sign-up rates; this is a great way to show how your work contributes to business goals and the bottom line. If they ask about your least successful project, they’re keen to suss out your weaknesses. Be strategic here: while you should be honest, you still want to paint yourself in a good light. Talk about where the project went wrong and the challenges you faced, but also how you overcame them and what you learned. Show that you can acknowledge your failures and turn them into something constructive; those are the kinds of UX designers that businesses want to hire! In both of these scenarios, your learnings are a key aspect of the answer. How would you evaluate the project’s success in terms of reaching its goals? Talk about what you did to make this happen (or mitigate the failure). Finish by highlighting the takeaways from this outcome: what did you learn that you’ve used on other projects, and what did you learn to avoid? 7. How do you practice universal design? What they really want to know: Are you clued up on inclusive UX? Do you know how to design for ALL users? Accessibility is a huge topic, so don’t be surprised if it comes up in your UX design interview. As a designer, you have a responsibility to make products and experiences as accessible as possible. This means catering for both temporary, situational constraints and permanent or long-term impairments. When designing an app, for example, how do you ensure a good user experience for visually impaired users? How would you make a video more accessible for users watching it on a noisy, crowded train? Ultimately, universal design is good for business; the more inclusive the product, the wider an audience it can reach. Before your interview, make sure you are clued up on inclusive design and can talk about it in relation to the company’s product. Talk about the importance of universal design from a business perspective: why is being accessible to all users a winning strategy for a business or product? 8. What do you think will be the next big thing in UX design? What they really want to know: Are you passionate about your craft? Have you got your finger on the pulse? Employers not only want to see that you’ve got the skills to do the job. They also want to see that you’re passionate about your work. Don’t get too hung up on making the most accurate prediction for the future — this is more about showing that you’re aware of what’s going on around you and the direction in which the industry is moving. This is a good time to talk about any books or blogs you’re currently reading. If you talk about the rise of voice technology, for example, you can mention your favourite articles, videos or podcasts that talk about this topic. This demonstrates that you’re constantly learning and keeping your finger on the pulse. If you’re truly passionate about a particular trend, relate it to the employer’s business needs and goals. How do you see it contributing to their success? 9. How would you improve the UX of our product? What they really want to know: Have you researched the company? Are you full of ideas and ready to hit the ground running? This can be quite an intimidating question, but don’t let it scare you. This is an excellent opportunity to show that you’ve researched the company and really thought about how you can add value. This in turn demonstrates a genuine interest in the role, which can only go in your favour! In the lead-up to your interview, spend some time exploring their website and, if they’ve got one, their mobile app. Identify one or two things you think could be improved, and come up with a plan of action as to how you would do so. If nothing in particular stands out, talk about how you might conduct some general usability tests to see how the current design is performing. Remember to think about who their target users are, and to mention these personas when sharing your ideas. Be sure to ask a few searching questions to show that, while you’ve researched the product, you understand the need to consult those who know it best in order to corroborate your assumptions. Once your assumptions have been confirmed or remodeled, you can deliver your potential solutions and demonstrate your thought processes. Diplomacy here is key. Remember, one of the 3 things an interviewer is trying to find out is the answer to the question: Can we stand working with you? Don’t be afraid to defend your thoughts (while recognising you may not be privy to all of the background information which shaped the current product), but be aware of how you present the information: don’t go out of your way to step on any toes, or make it sound like this is information they should already know. 10. Where do you go for UX design inspiration? What they really want to know: Are you constantly learning and developing? Are you invested in the industry? In such a rapidly evolving field as UX design, the only way to stay on top of your game is by constantly learning. Most employers will be curious to know how you go about this continuous learning process; where (or who) do you turn to for inspiration? How do you make time for continued development? Even if you follow loads of influential UXers on Twitter and have a shelf full of design books, the mind often has a tendency to go blank when asked to name them on the spot! Go prepared with a mental shortlist of your inspirational favorites; this could be anything from podcasts and blogs to YouTubers or personal contacts. As long as you can talk about why they’re inspirational to you and convey that much-needed enthusiasm for learning, the interviewer will be all ears. Keep your audience in mind. You may get inspiration and ideas from lots of places, but by talking about how they shape your approach to design and how this relates to their products and challenges. What they really want to know: Can you walk the walk? Can you perform under pressure? You know that old saying that actions speak louder than words? This is certainly true of UX design interviews. In addition to answering questions verbally, you may also be asked to complete a hands-on design challenge! Skills-based challenges come in many different forms. You may be given a design problem to work on in your own time, or you might be asked to critique an app on the spot. Then there’s the whiteboard challenge. 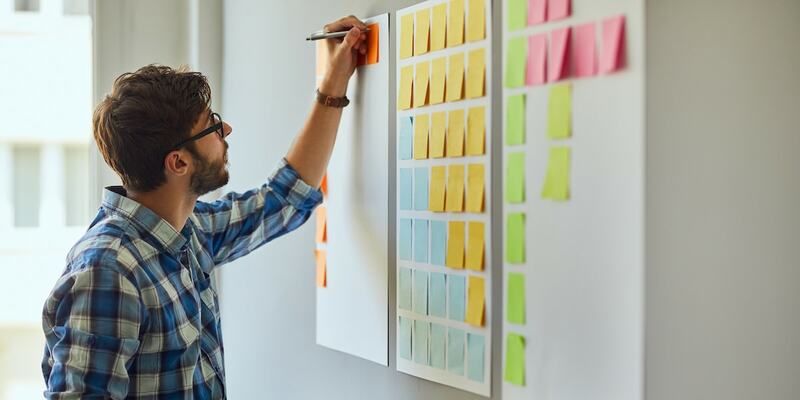 As the name suggests, you’ll be presented with a problem and asked to design the solution there and then, documenting your entire process on a whiteboard and talking the panel through it as you go. With any design challenge, be it take-home or an on-the-spot whiteboard challenge, the key is to clarify assumptions and show your process. How you approach the problem, how you lay out your initial assumptions and how you discuss your process are more important than the final result. So there you have it: 11 essential UX design interview questions and how to answer them. Want more tips on how to break into the industry? Check out our further reading list below! Learn about skills-based interview challenges. Learn how to make your UX design portfolio stand out. Discover 5 ways to prepare for a major career change.